Even before the Pokemon Go craze, people have been glued to their phones. It’s estimated that Americans check their social networks about 17 times per day (more than once every hour they’re awake)—but in places like South Africa, Thailand and Argentina, they do it 40 times a day! And with this increased time spent on the phone, people are investing more and more of their personal lives into their phones. According to a 2015 survey commissioned by Kaspersky Lab, up to 87% of people store very personal information, such as passwords, private messages, photos, videos, contacts, banking details and other files on their smartphones. In fact, you probably give way more personal and private information to your phones than to your significant other, but are you taking the proper steps to protect your phone? According to the Kaspersky survey, apparently not. It seems that only 36% of users have any strong privacy settings on their phones, and a whopping 19% don’t take any precautions at all! You might as well leave your doors open at night or print your bank account information on a t-shirt. Because to hackers and other prying eyes, that’s exactly what you’re doing. Your phone is your new diary, it’s your new personal computer. Heck, for some it’s their new best friend. So today we’ll look at the best way to help keep your information safe on your phone. Why’s it so important to protect your phone? According to the Kaspersky survey, 45% of all respondents said that they had at least one case of malware on their phone, and 44% said they knew of someone who had been affected. What happens if there’s malware on your phone. What information can be extracted from a device which stores so much of you personal info? Two likely scenarios. The first one only concerns you, the second could affect the livelihood of others. Remember, the phone isn’t the hacker goal—it’s the information it contains that they want. A) In this scenario, hackers will be able to get all the necessary information about you. 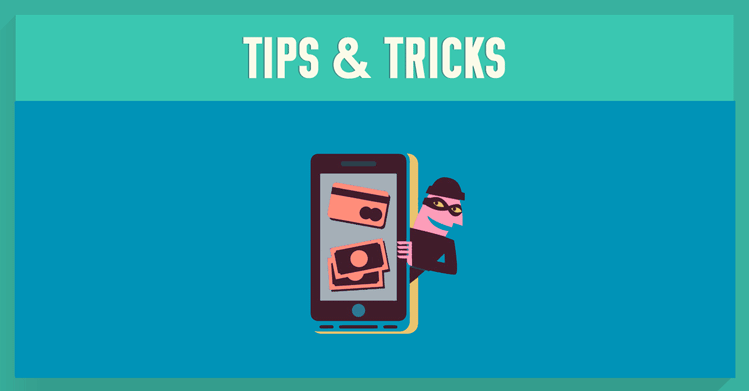 Your photos, your private messages and emails, videos, stored on your phone or through your phone on the cloud; financially, they may be able to access your personal bank information, or your Google Wallet, Apple Pay or Paypass information. B) On the other hand, most corporations or businesses worthy of hacking have employees that use their smartphones for business as well. You could get malware on your work phone, or the phone you also use for work, and then the hacker will have access to all that precious, confidential corporate information. This is a perfect opportunity for a hacker, because corporations just aren’t that good at detecting breaches through employee phones. So whether you have an Android, iOS, or anything in between, it’s crucial to protect your phone and all that information on it. Among other mobile security tips, encryption is key, not just on your laptop or computer, but also on your mobile devices. Encryption protects your data when transmitted online. Encrypted Virtual Private Network (VPN) will ensure your connection is routed through a secure network and would not be tracked. There are quite a few VPN apps available for a variety of devices, but when choosing the one that’s best for you, you should look at a few important factors. These include speed, price, server locations, privacy (whether they keep logs), and additional features and services. 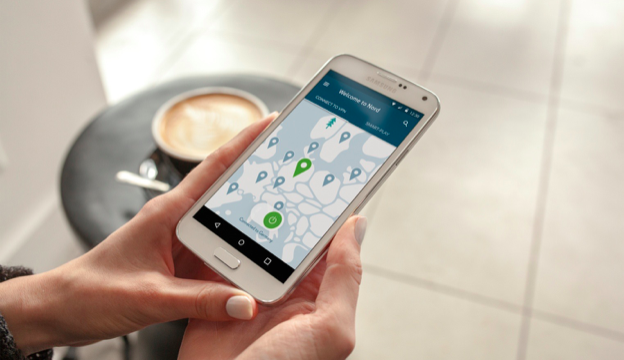 The brand new NordVPN Android and iOS apps have you covered on all of these points. Because of its heavy investment in servers and architecture, the app has great speeds, a great interface and an easy to use UI and a strict zero logs policy. There are also good comparable prices that are suitable for whatever your needs may be. NordVPN’s apps offer unlimited bandwidth and access to 567 server locations in 49 countries. As far as extra features go, the service provides for Double Data Encryption and even Tor Over VPN for that extra layer of security. Not to mention the extra security services and a live chat integrated into the app, in case you have a question or two. The NordVPN Android and iOS apps were built guided by user feedback. With several thousand beta testers guiding the direction of the app that is tough on encryption but is also very easy to use. As time goes on, we’ll invest even more of our personal lives into our mobile devices, so it’s best to act now to secure your data.